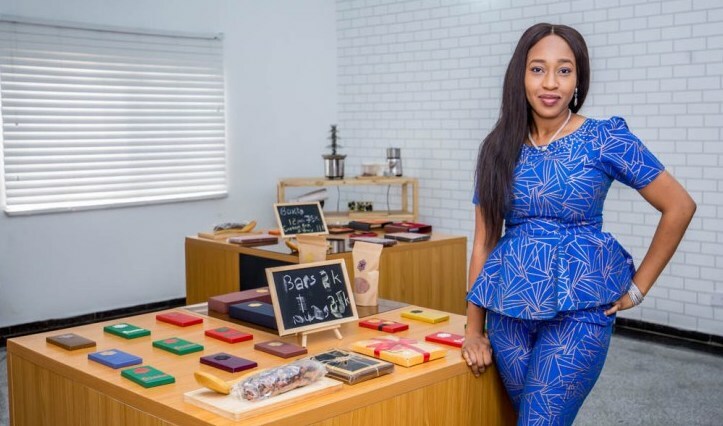 Femi Oyedipe, the founder of LoshesChocolate, developed an affection for chocolates when she moved to Ghana from Scotland after her Master’s programme. Whilst in the gold coast, Oyedipe turned her hobby, making chocolate dessert cakes and confectioneries, into a side hustle. She moved back to Nigeria in 2014 to explore a career route as a human resource personnel, but after two and half years realised that it was not fulfilling. Hence she decided to start a business of her own. Her husband suggested she gets back into making chocolates, an idea she bought into. However, she wanted to make and get more out of it. “While considering this, I decided that if I was really going to do a chocolate business, it would not be what I did in Ghana. So I researched on how to create value alongside making chocolates”, she told Techpoint. Through research, Oyedipe learned that Nigeria had no indigenous chocolatiers like Ghana had. Nigeria grows cocoa but most of it is exported and chocolates are imported. This realisation led her and her husband to conduct more research and to begin sourcing for cocoa beans. “We got our first bag from Eruwa in Oyo State. Right now, we use beans from both Oyo and Ondo states”, she said. The beginning phase of her business was marked with a lot of experiments to understand and determine the science and roasting profile of the various beans used. “The products of our first bag of cocoa beans were not sold at all. We gave them out to people and asked for feedback”, she said. Building a business is not without some challenges and the chocolatier has had her fair share; from systemic issues like power outages and poor access to machinery to human resource issues like the loss of employees. According to her, creating a quality bar requires continuous grinding for 36 to 48 hours, hence the need for steady power. Also, because the chocolate making industry is uncharted, there is no skilled labour for bean-to-bar factories; “I always have to train employees and monitor them. Some of them leave after investing so much time and resources training them… The chocolate making businesses is a very expensive one. And since we have no access to external funds, we import the equipment we can and have the rest fabricated here.” Her husband, who is an engineer, and a part of the business, fabricated most of the machines they could not afford with the help of an artisan. Running a business while being a wife and mother is no easy feat but thankfully, Oyedipe’s husband is also a partner and therefore understands how demanding the business is. Her mother-in-law also steps in to help with the kids whenever necessary. However, she advises other women who are not as lucky, to build or pay for support systems like creches and nannies. “If you can, create an area for your children in your workspace so that you can spend some time with them while you work”, she said. Unveiling the Entrepreneur’s three-legged Dance! PreviousWhy are gun sales falling?